Casey Lee Lawrence…resides in Hanover, PA…played 4 seasons at Albright College in Reading, PA…one of 9 former Albright players to appear in Major Leagues and first since Roy Sherid with New York-AL in 1931…holds school record with 251 career strikeouts…as freshman in 2007, was 5-0 with 2.70 ERA (16 ER, 53.1 IP) with 52 strikeouts in 9 games (6 starts)…signed by Toronto as non-drafted free agent June 15, 2010; signed by scout Bobby Gandolfo…claimed off waivers by Seattle from Toronto May 11, 2017. Was 2-3 with 6.34 ERA (39 ER, 55.1 IP) with 52 strikeouts in 27 appearances, including 2 starts, with Toronto (4 G) and Seattle (23 G)…had four stints with Seattle (May 17-June 2, June 12-13, July 28-Aug. 15 & Aug. 19-end)…first Major League win on Aug. 1 at Texas… struck out 9 over 5.0 innings in relief on June 1 vs. Colorado, setting single-game club record for strikeouts by a reliever…was 2-4 with 4.08 ERA (26 ER, 57.1 IP) with 41 strikeouts in 11 appearances, including 7 starts with AAA Tacoma…claimed off waivers from Toronto on May 11 after being designated for assignment on May 8…was 0-3 with 8.78 ERA (13 ER, 13.1 IP) with 7 strikeouts in 4 games (2 starts) with Toronto…selected by Toronto from AAA Buffalo on April 8 and made his MLB debut in relief later that day at Tampa Bay…was 1-0 with 0.90 ERA (1 ER, 10.0 IP) with 7 strikeouts in 3 starts with AAA Buffalo before recall. November 29, 2018 Seattle Mariners released RHP Casey Lawrence. September 4, 2018 Seattle Mariners recalled RHP Casey Lawrence from Tacoma Rainiers. August 14, 2018 Seattle Mariners optioned RHP Casey Lawrence to Tacoma Rainiers. August 9, 2018 Seattle Mariners recalled Casey Lawrence from Tacoma Rainiers. July 29, 2018 Seattle Mariners optioned RHP Casey Lawrence to Tacoma Rainiers. July 13, 2018 Seattle Mariners recalled Casey Lawrence from Tacoma Rainiers. May 13, 2018 Seattle Mariners optioned RHP Casey Lawrence to Tacoma Rainiers. May 1, 2018 Seattle Mariners recalled Casey Lawrence from Tacoma Rainiers. April 14, 2018 Seattle Mariners optioned RHP Casey Lawrence to Tacoma Rainiers. March 28, 2018 Seattle Mariners selected the contract of Casey Lawrence from Tacoma Rainiers. January 16, 2018 Seattle Mariners signed free agent RHP Casey Lawrence to a minor league contract and invited him to spring training. January 16, 2018 RHP Casey Lawrence assigned to Tacoma Rainiers. November 6, 2017 RHP Casey Lawrence elected free agency. October 31, 2017 Seattle Mariners sent RHP Casey Lawrence outright to Tacoma Rainiers. August 19, 2017 Seattle Mariners recalled RHP Casey Lawrence from Tacoma Rainiers. August 15, 2017 Seattle Mariners optioned RHP Casey Lawrence to Tacoma Rainiers. July 28, 2017 Seattle Mariners recalled Casey Lawrence from Tacoma Rainiers. June 14, 2017 Seattle Mariners optioned RHP Casey Lawrence to Tacoma Rainiers. June 12, 2017 Seattle Mariners recalled Casey Lawrence from Tacoma Rainiers. June 2, 2017 Seattle Mariners optioned RHP Casey Lawrence to Tacoma Rainiers. May 17, 2017 Seattle Mariners recalled Casey Lawrence from Tacoma Rainiers. May 11, 2017 Seattle Mariners claimed RHP Casey Lawrence off waivers from Toronto Blue Jays. May 11, 2017 Seattle Mariners optioned RHP Casey Lawrence to Tacoma Rainiers. May 8, 2017 Toronto Blue Jays designated RHP Casey Lawrence for assignment. April 28, 2017 Toronto Blue Jays optioned RHP Casey Lawrence to Buffalo Bisons. April 22, 2017 Toronto Blue Jays recalled Casey Lawrence from Buffalo Bisons. April 11, 2017 Toronto Blue Jays optioned RHP Casey Lawrence to Buffalo Bisons. April 8, 2017 Toronto Blue Jays selected the contract of Casey Lawrence from Buffalo Bisons. April 7, 2017 RHP Casey Lawrence assigned to Tacoma Rainiers. January 19, 2017 RHP Casey Lawrence assigned to Buffalo Bisons. November 14, 2016 Toronto Blue Jays signed free agent RHP Casey Lawrence to a minor league contract and invited him to spring training. November 7, 2016 RHP Casey Lawrence elected free agency. October 6, 2016 RHP Casey Lawrence assigned to Bravos de Margarita. July 5, 2016 RHP Casey Lawrence assigned to Buffalo Bisons from New Hampshire Fisher Cats. July 1, 2016 New Hampshire Fisher Cats placed RHP Casey Lawrence on the temporarily inactive list. April 26, 2016 RHP Casey Lawrence assigned to New Hampshire Fisher Cats from Buffalo Bisons. April 12, 2016 RHP Casey Lawrence assigned to Buffalo Bisons from New Hampshire Fisher Cats. April 2, 2016 RHP Casey Lawrence assigned to Toronto Blue Jays. September 29, 2015 RHP Casey Lawrence assigned to Bravos de Margarita. May 4, 2015 RHP Casey Lawrence assigned to New Hampshire Fisher Cats from Buffalo Bisons. May 2, 2015 RHP Casey Lawrence assigned to Buffalo Bisons from New Hampshire Fisher Cats. 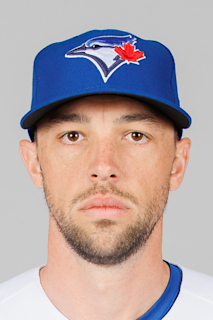 March 19, 2015 RHP Casey Lawrence assigned to Toronto Blue Jays. October 7, 2014 RHP Casey Lawrence assigned to Bravos de Margarita. June 21, 2014 New Hampshire Fisher Cats activated RHP Casey Lawrence from the 7-day disabled list. May 31, 2014 New Hampshire Fisher Cats placed RHP Casey Lawrence on the 7-day disabled list retroactive to May 30, 2014. March 31, 2014 RHP Casey Lawrence assigned to New Hampshire Fisher Cats from Dunedin Blue Jays. September 1, 2013 RHP Casey Lawrence assigned to Dunedin Blue Jays from New Hampshire Fisher Cats. August 24, 2013 Casey Lawrence assigned to New Hampshire Fisher Cats from Dunedin Blue Jays. August 13, 2013 Casey Lawrence roster status changed by Dunedin Blue Jays. June 26, 2013 Dunedin Blue Jays placed RHP Casey Lawrence on the 7-day disabled list. April 9, 2013 RHP Casey Lawrence assigned to Dunedin Blue Jays from Buffalo Bisons. April 8, 2013 Casey Lawrence assigned to Buffalo Bisons from Dunedin Blue Jays. March 12, 2013 RHP Casey Lawrence assigned to Toronto Blue Jays. May 9, 2012 Casey Lawrence assigned to Dunedin Blue Jays from New Hampshire Fisher Cats. April 20, 2012 Casey Lawrence assigned to New Hampshire Fisher Cats from Dunedin Blue Jays. August 20, 2011 Casey Lawrence assigned to Dunedin Blue Jays from Lansing Lugnuts. August 8, 2011 Casey Lawrence assigned to Lansing Lugnuts from Dunedin Blue Jays. August 4, 2011 Casey Lawrence assigned to Dunedin Blue Jays from Lansing Lugnuts. August 3, 2011 RHP Casey Lawrence assigned to Lansing Lugnuts from Dunedin Blue Jays. July 29, 2011 Casey Lawrence assigned to Dunedin Blue Jays from Lansing Lugnuts. June 17, 2011 Casey Lawrence assigned to Lansing Lugnuts from Dunedin Blue Jays. June 12, 2011 Casey Lawrence assigned to Dunedin Blue Jays from Lansing Lugnuts. August 21, 2010 Casey Lawrence assigned to Lansing Lugnuts from Auburn Doubledays. June 18, 2010 Casey Lawrence assigned to Auburn Doubledays from Toronto Blue Jays. June 17, 2010 Toronto Blue Jays signed RHP Casey Lawrence.